I believe there’s many reasons why people choose to travel. Some may be looking for a change, a break from the routine in their daily life, to learn new things and meet new people. My decision to travel came after four years of hard work, life changing events and many unfortunately negative experiences. Although, all was not lost as I believe these experiences have pushed me to put all of who I am into my writing and combine it with my passion for food. What I’ve been through has led me here and I decided I needed not just a break, but a chance to explore new cultures, new cuisines and just enjoy some time to myself. I left with my close friend, starting our adventure in Lisbon, Portugal. Much of their cuisine is centered around fresh seafood along with their signature dish, Bacalhau. This Portuguese specialty is a dried and salted cod and is used in many varying recipes throughout Portugal. We made it our mission to try it. 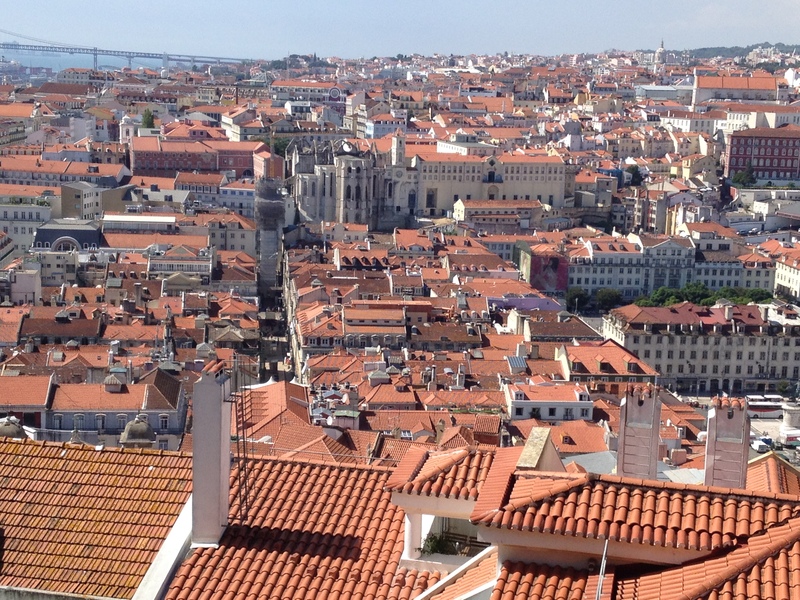 We only had a few days in Lisbon and didn’t get a chance to try many restaurants. Plus, being on a tight budget didn’t help either! However, we located a small restaurant down the street from our hostel which was usually busy every night (a good sign). On our first visit I ordered the grilled salmon. The picture I took really doesn’t do this meal any justice. The fish was grilled beautifully. Not only was this a large serving, it was juicy and meaty. Because it was grilled, the skin and the edges were smoky and crispy. With a spritz of lemon on top I was in heaven. After traveling all day, this was a welcomed meal. I had this dish twice while I was in Lisbon. 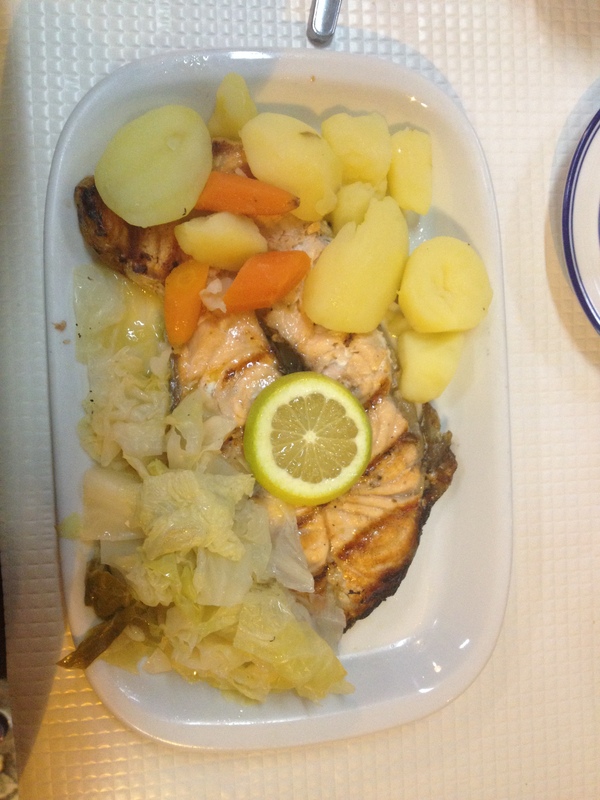 My friend ordered the Bacalhau on our second visit which was equally delicious (no picture, sorry!). Bacalhau is a little more dense and is quite salty but delicious – a must try when visiting Portugal. 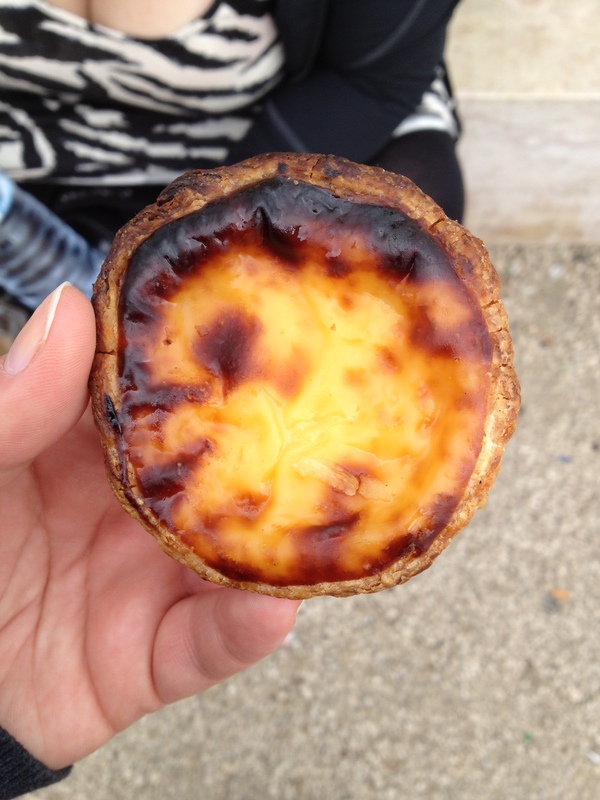 My brother had visited Portugal last year while backpacking Europe and insisted I try a Portuguese tart, or Pastel de nata. This delicious little thing is an egg tart pastry with a custard like filling. This is another common and popular staple in Portuguese cuisine and can be found in most pastry shops around the city. It’s highly unlikely you’ll find one you don’t enjoy. Served warm or at room temperature, these tarts are to die for and are the perfect snack while on the go. Although the filling is soft and creamy, its not overly sweet as I believe the eggs balance that out. Maybe it was the intense heat, or the seven hours of walking a day, but we tried many gelato spots during our travels. There just seemed to be shop after shop everywhere we went. This place in particular had a great selection to choose from. I got a scoop of pistachio and raspberry which were deliciously refreshing. 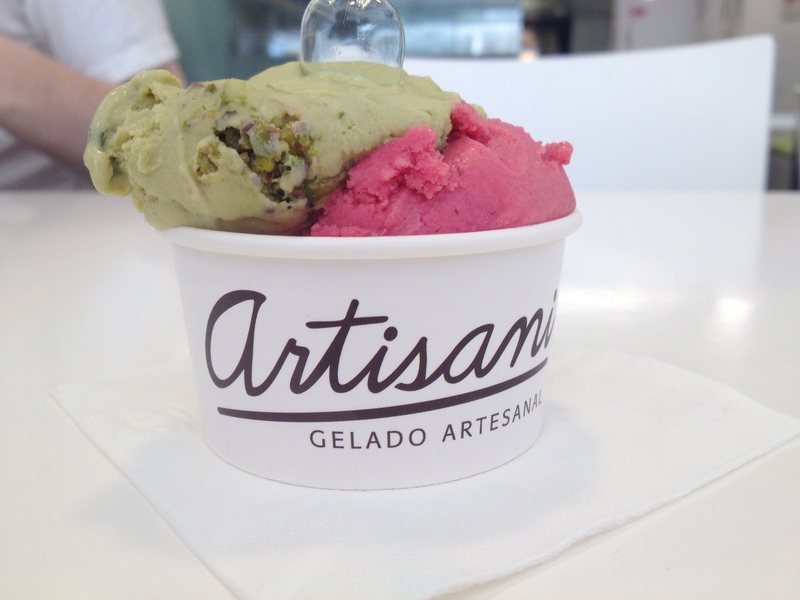 If you haven’t tried pistachio gelato yet, you haven’t lived, my friend. One word of advice though, some places can charge an arm and a leg for a couple scoops of this heavenly goodness. Rightfully so, but if you take the time to find the right place, saving a bit of cash helps. This location was pretty pricy and you could tell by looking inside that you were going to pay a bit more. 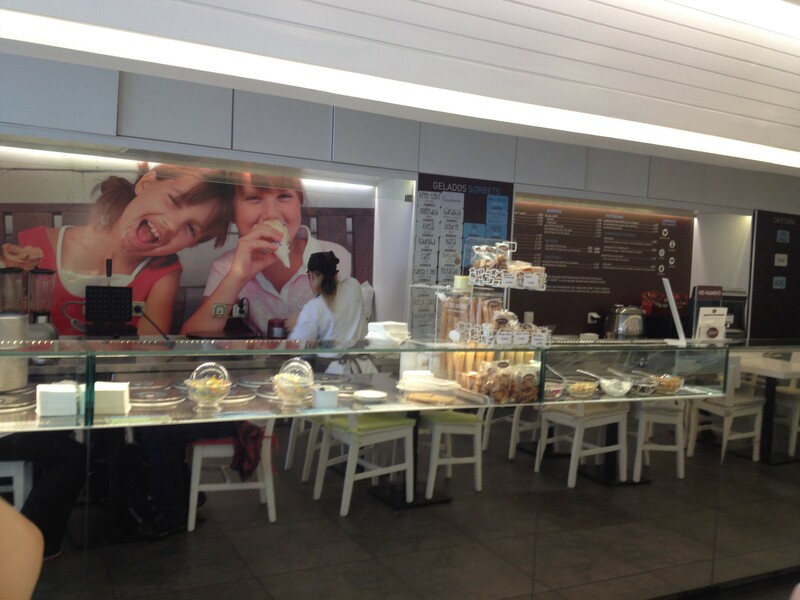 In future posts you will see the other spots we visited where we got more, just as tasty gelato, for less. Next stop – Barcelona, Spain!